Earlier this month, our Student Services team and Students’ Union once again joined forces to host the 9th annual Students’ Union Variety Awards (SUVA). The awards are a fantastic way of recognising and celebrating the success of students and staff alike. It has been a consistently successful event and this year was no different. 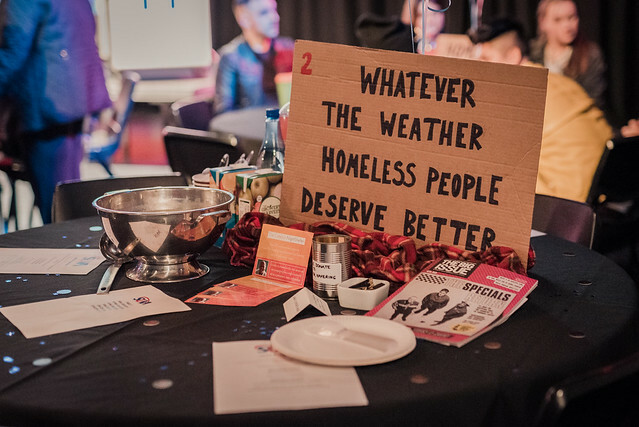 The area of interest for this year’s awards was homelessness, with great efforts being made to promote awareness of it and raise money (a total of £236) for Hope 4 Havering, a night shelter for the borough’s homeless. In 2014, the charity received 221 referrals in comparison to 133 in 2012, most of which had spent time sleeping rough before accessing the night shelter. The evening was filled with entertainment from Chris Daley (featured on the Voice 2019), Dominic Nyarirangwe (Havering College’s very own Spoken Word Artist and President of the Students’ Union), RED (Singer and songwriter who featured on the X Factor 2017) and Mark Angels (musician). The hosts Maria Chamberlain and Nambuwa Akafumba, also of the Students’ Union, brought a sense of flare and professionalism to the event, making the evening extra special. There were a total of fifteen awards which included Most Dedicated Student, Triumph over Adversities, Most Inspirational Staff Member and Lifetime Achievement Award just to name a few. All winners have demonstrated a commendable level of dedication and enthusiasm over the past academic year and were very worthy of their prizes. It was an excellent evening, I really enjoyed it. Both myself and Ruth, a College governor, were highly impressed with all the students and we commented on how far they have come on their own personal journeys and developing in confidence along the way. The Students’ Union extends their special thanks to all students, staff and guests who contributed to the event and made it possible. Here’s to another exciting evening next year!